+1.16 PD Type +1.21 UDC +0.46 F&L Comp. Heterozygous polled ..TYBALT will dehorn calves 50% of the time He is 4(strong) and 2 (tall) 3(open) and 6 style..aAa. He is a fancy, well balanced bull with an excellent rump NOT high in the pins. He will correct the rear teat placement and short teat problems of Planet & Planet sons. Plus he is a high fertility bull... What to breed him to? .... a cow or heifer in heat. He is an Outcross sire can be used heavily in the breed. other mat. dams.... high components and VG or EX. below.. In some countries in Europe in the near future... every AI bull must be Polled. Genomic Proven bulls are now the industry standard. 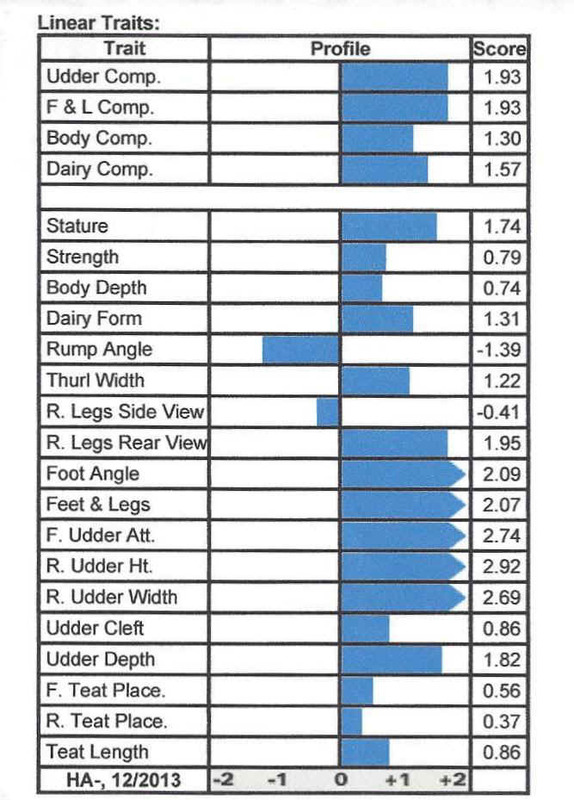 All the current top Progeny Proven bulls were the top...usually No.1 GTPI Genomic Proven bulls when introduced.....Bookem, Observer, Shamrock Mogul and now SuperSire ete. That's why the big AI studs monopolized it for 5 years!! TYBALT's photo above at 1yr.3mo..clearly shows his aAa numbers... Long, Strong, Tall, Really Correct legs...FANCY Bull! Now big news... his full sister is off to an outstanding start. 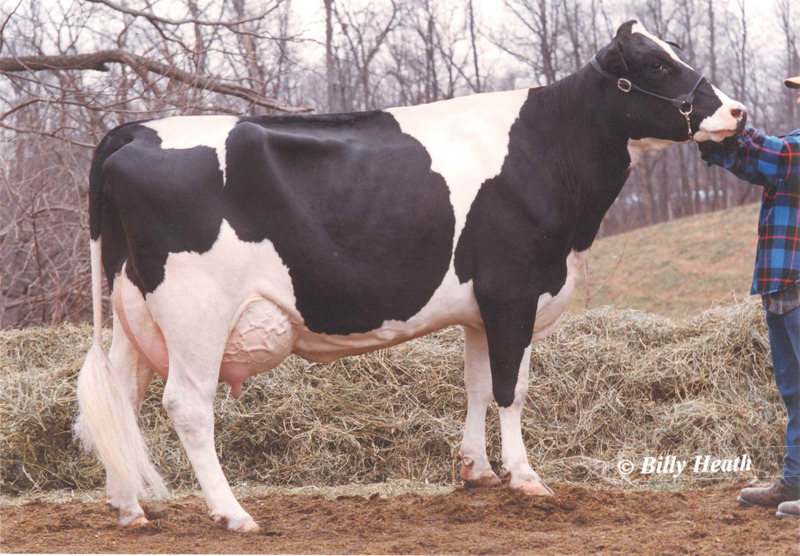 She peaked at 96 lbs milk, 1st lactation ,with high componest indexes and low somatic cell score. But now she has been classified VG(86) VG F&L and VG(86) mam at 2yr 9mo.! 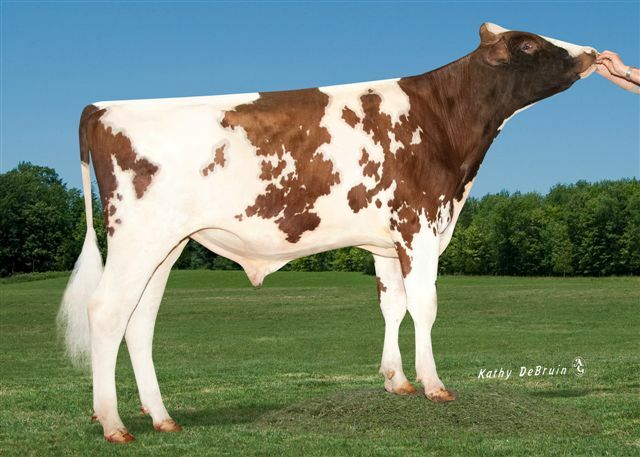 Do you have some Red Polled 2yr. olds like this? You can get some here! Important...many... red and red carriers have the Haplotype CD that causes the death of calves at about 4 mo. TYBALT is negative to CD!